I’ve been training with Jonathan Rose for over a year now, and am extremely pleased with the results. I was diagnosed with Parkinson’s Disease in 1998, and the disease has naturally progressed over the years, limiting my ability to move; gait disorder and freezing/falling are particular issues. Jonathan has worked diligently with me to address those issues. He spends a great deal of time thinking about my specific challenges, and developing exercises to help me overcome them. Jonathan is always upbeat and positive, and my training sessions with him leave me feeling inspired (and exhausted!) 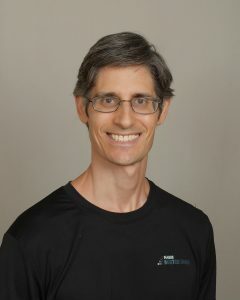 I would recommend him highly to anyone with Parkinson’s Disease who is looking for a good exercise program ­­ and to any doctor or other medical professional who wants to refer patients to a trainer specializing in Parkinson’s.